Samsung has a lot of things lined up for its Unpacked event to held on February 20th. There are five major devices that are expected to be unveiled, which includes the Galaxy S10, Galaxy S10e, Galaxy S10 Plus, a 5G variant of the smartphone, and a new foldable smartphone. 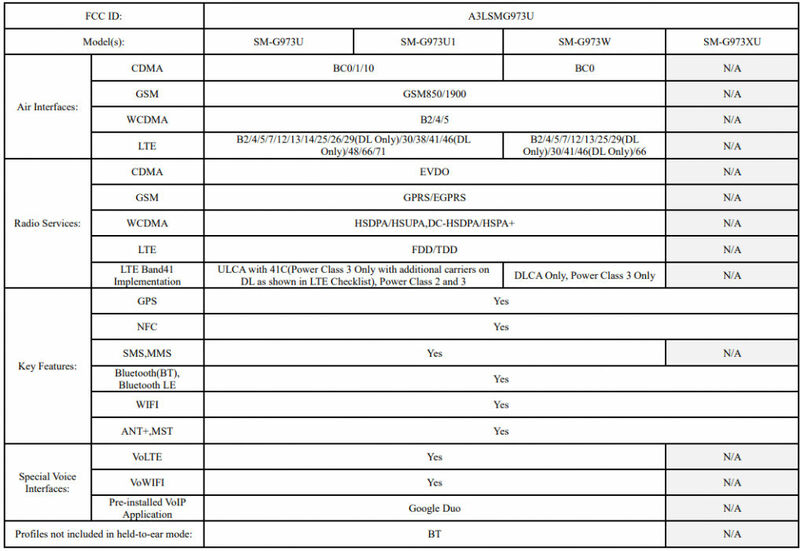 However, before the smartphones are unveiled at the event in San Francisco, the series has undergone the FCC certification process. We already have quite a lot of information regarding the Galaxy S10 series, such as the edge-to-edge display, faster processors, and bigger batteries. The rear panel is expected to have a dual camera setup and a physical fingerprint sensor in the base model, while the higher ones might come with triple lenses and ultrasonic in-display fingerprint sensor. There will be punch-hole front cameras to maximise the edge-to-edge display. The higher spec Galaxy S10 Plus is also expected to be powered by a 4,000mAh battery and has an in-display fingerprint scanner. 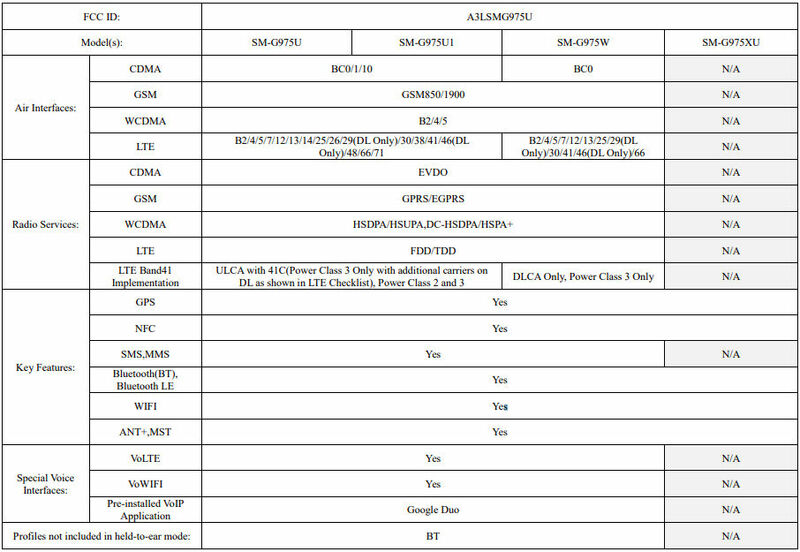 The FCC certification documents of the Samsung Galaxy S10 series give us some insights on what connectivity features the smartphones will be having. The new Galaxy S10 series will continue to have the same connectivity features as the Galaxy S9. The connectivity features include VoLTE and VoWi-Fi, Bluetooth 5.0, and GPS. The inclusion of the Snapdragon 855 chipset from Qualcomm has brought better Wi-Fi connectivity. This next-gen connectivity is capable of supporting up to 10Gbps download speed, provided supporting routers are available. The 802.11ax (Wi-Fi 6) is currently the newest in the protocol and offers better connection range. Further, the Samsung Galaxy S10 series will be equipped with a reverse wireless charging feature, which allows power transfer wirelessly, be it receiving or transmitting. This is done through MR or MI. However, this feature is nothing new in the industry as it is already seen on the Huawei Mate 20 Pro. More of the details will surface once the Galaxy S10 series is unveiled at the Samsung Unpacked event on February 20.